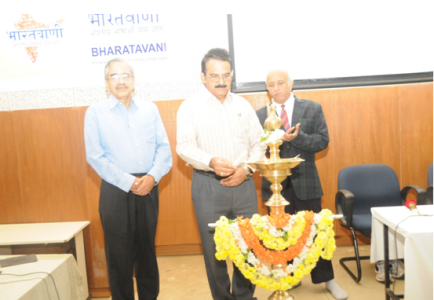 A one day National Seminar on “Preservation, Promotion and Technological Development of Indian Languages” was held at BBAU, Lucknow, on 25th May 2016, on the eve of the launching of the Bharatavani Project Portal. Prof. B.N. Patnaik, Former Professor, IIT Kanpur inaugurated this seminar. Leading academicians, subject experts, linguists, senior officers and educationists participated in this seminar and presented their views on the topic. Hon’ble Minister of HRD, Smt. Smriti Zubain Irani, launching the Bharatavani Website at Baba Saheb Bhimrao Ambedkar University, Lucknow on May 25th , 2016. Bharatavani Portal was launched on 25th May 2016, by Smt Smriti Zubin Iraniji, Hon’ble Union Minister of HRD. 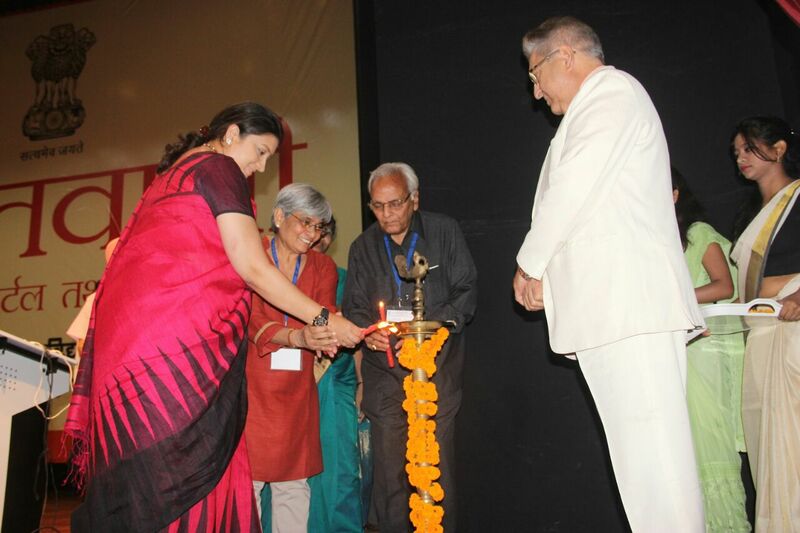 This event held at the Auditorium of Bhimrao Babasaheb Ambedkar University, Lucknow, was attended by a large number of students, teachers, academicians and general public. Bharatavani Project team participated in the tribal cultural events organised in memory of Dr Ram Dayal Munda at Ranchi from 20-23 August 2016. A Bharatavani stall was installed and significant networking was done among tribal language writers. 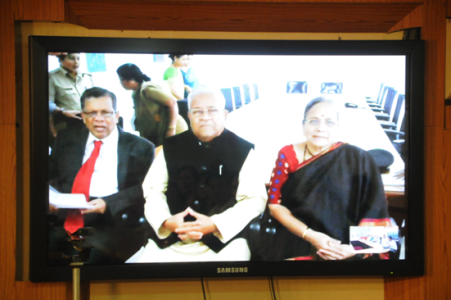 Launching of Manipuri online Programme website by the Governor of Nagaland, Sri. P..B. Acharya through Skype with the collaboration with CIIL, Mysore from NITTE University, Surathkal, Mangalore. Mrs. Acharya and the Vice Chancellor of NITTE Unversity can be seen. Participants during the launch of the MOP website. Dr. Narayan Choudhary, AD(A)i/c, Dr L. Ramamoorthy, RRO , Shri V V Bhat, Senior Consultant and others participated. His Excellency Shri Padmanabha Acharya, Hon’ble Governor of Nagaland, launched “Learning facilities for Languages of North Eastern India”, an initiative under Bharatavani Project. The launch of these facilities took place through a video conference between NITTE University at Mangaluru and CIIL at Mysuru. Two sub-domains kokborok.bharatavani.in and nagaland.bharatavani.in and a Manipuri Learning Programme (mop.ciil.org) were launched. Prof.D.G.Rao, Director, CIIL inaugurating the workshop on “Potentials of Siri Bhoovalaya for Application and Research in Linguistics and Computer Science” on 27th September, 2016 at CIIL Mysore. Shir V.V. Bhat, Senior Consultant , CIL and Dr.CSR Prabhu, Senior Scientist, NIC, Hyderabad can also be seen. 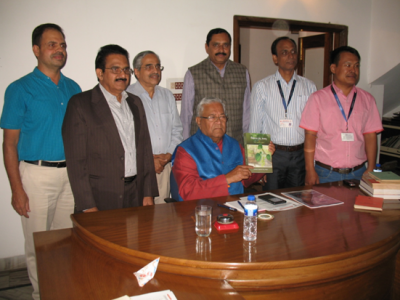 With Governor of Nagaland, P.B.Acharya with Director of CIIL, Prof.D.G. Rao, Dr.L.Ramamoorthy, RRO, Shri.V.V.Bhat, Senior Consultant, CIIL, Sri Beluru Sudarshana, Consultant, Bharatavani Project, Dr. Chandan Singh and Dr. Hidam Dolen Singh. A team of CIIL officials, led by Director Prof. D G Rao visited Kohima, on the invitation of Shri P B Acharya, Hon’ble Governor of Nagaland on 4th October 2016. 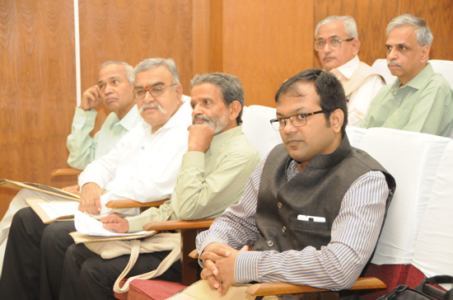 Several Academicians and Officials took part in the meeting. 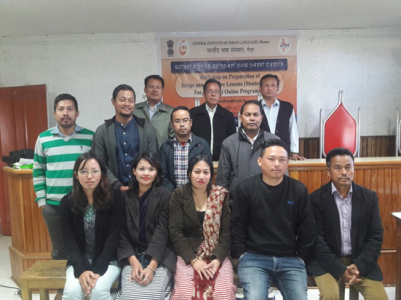 It was decided to develop Angami/Tenyidie Online Learning Programme within a year, with the support of Nagaland University. 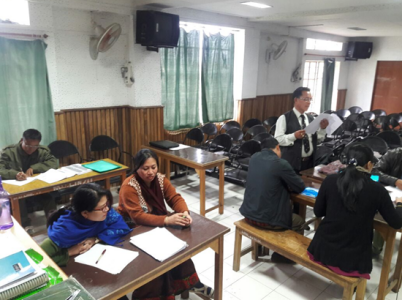 To strengthen the Manipuri Online Programme, a Ten Day Workshop On “Preparation of Script and Structure Lessons (Meetei Mayek) for Manipuri Online Programme” was conducted in the Fourth Week of November 2016, at Manipur University, Imphal. Bharatavani Project’s consultant visited Madhya Pradesh and met with several heads of Knowledge institutions. Signing of DOA with Hindi Granth Academy was the highlight of this visit. 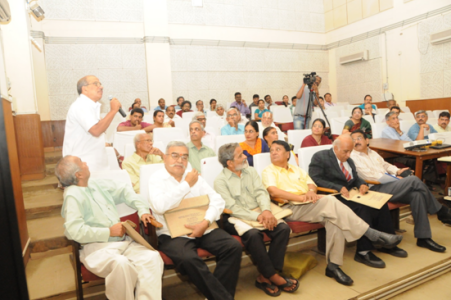 He also participated in the National Thinkers’ meet Lokmanthan to network with individuals and institutions. 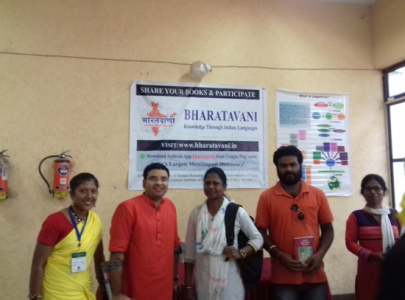 A team from CIIL including the Consultant participated in the 85th All India Kannada Literary Conference held at Raichur and put up a stall to promote Bharatavani App, Portal and CIIL publications. A Concise Kannada Dictionary published by the organiser Kannada Sahitya Parishattu was also released by Bharatavani in the form of a Android App.